The interior is a thing of beauty and perfect match of polished billet aluminum and stainless steel adorning the glowing warmth of gorgeous woodgrain and supple leather. 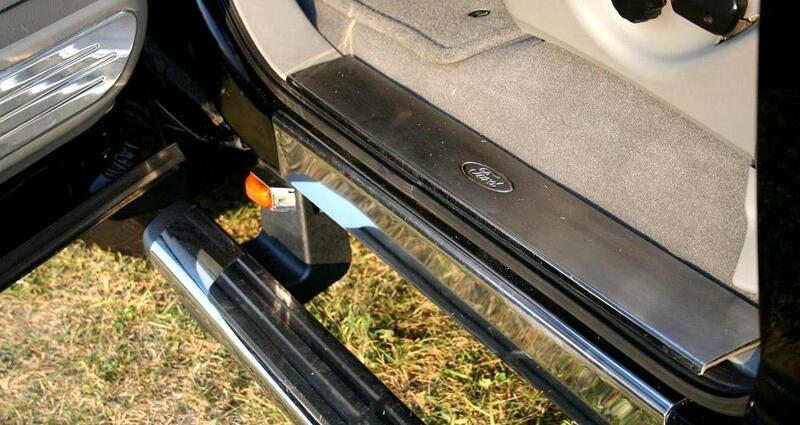 The plethora of subtle and hidden features are useful, practical and plentiful! As you get closer it's obvious to see this is not like any other truck you have ever seen... at least not in one that is intended and has served as a daily driver and tow rig. 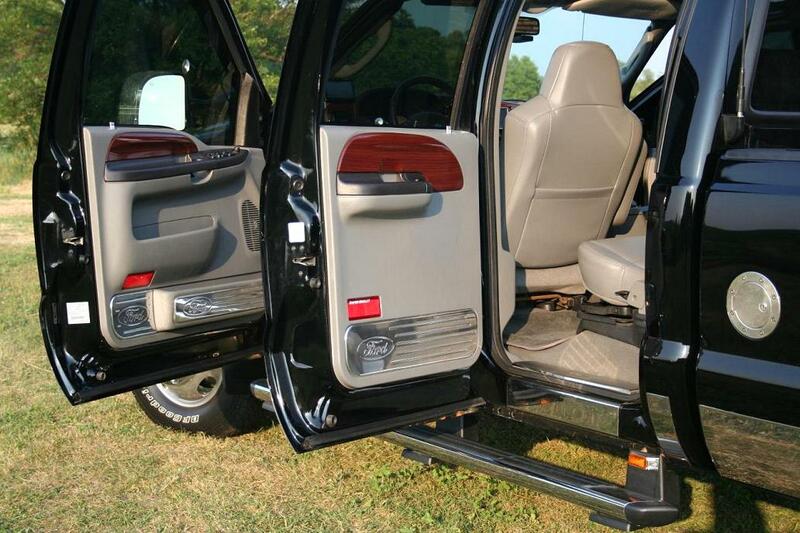 The interior is just as stunning, yet tasteful as the exterior. 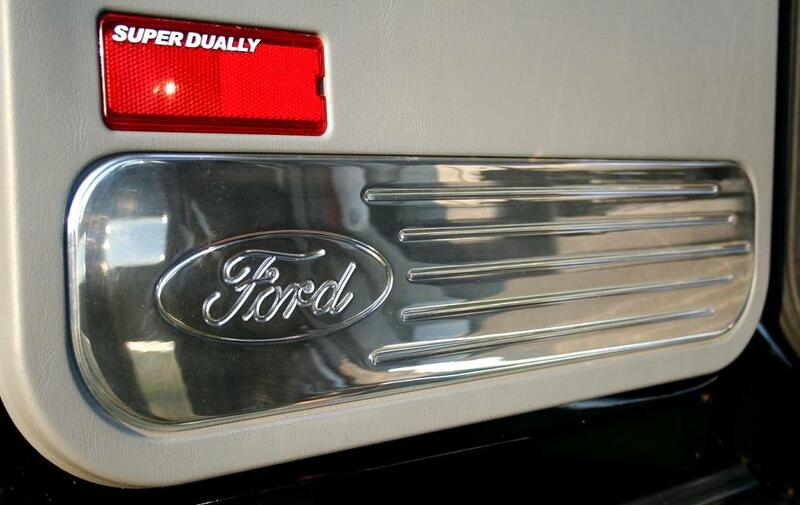 The rear cabin entry showing off the thick, solid billet polished aluminum ball milled door panel, the brushed stainless steel door sill with the Ford logo pressed into it, and the gleaming polished stainless steel kick panel below it. Note the pristine floor carpeting and brand new catch-all full width carpeted and color matching floor mat. A closer look at the thick, solid billet polished aluminum ball milled door panel. Now, imagine if you were to paint the milled grooves with black paint to really set it off visually? 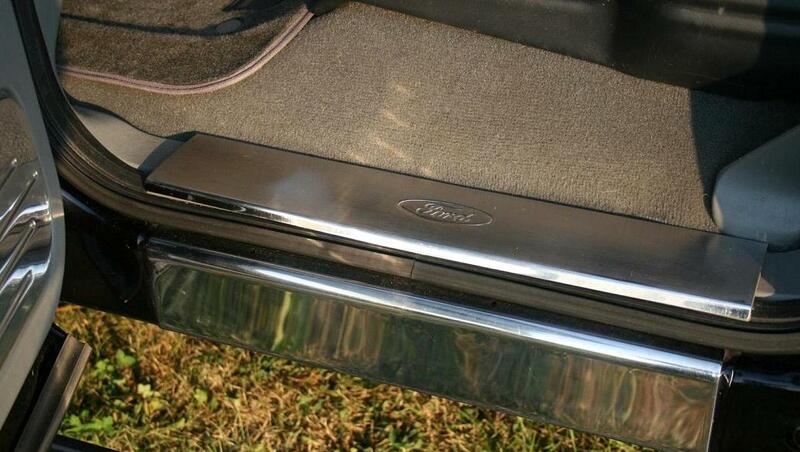 A closer look at the brushed stainless steel door sill with the pressed in Ford logo, and the mirror polished stainless steel kick panel below it. The pristine floor carpeting and brand new catch-all full width carpeted and color matching floor mat can be easily seen here. You'd think you were looking at a brand new truck still sitting on the dealers show room floor with the factory window sticker in the window. Well, you almost are, but without the $75,000 price tag! 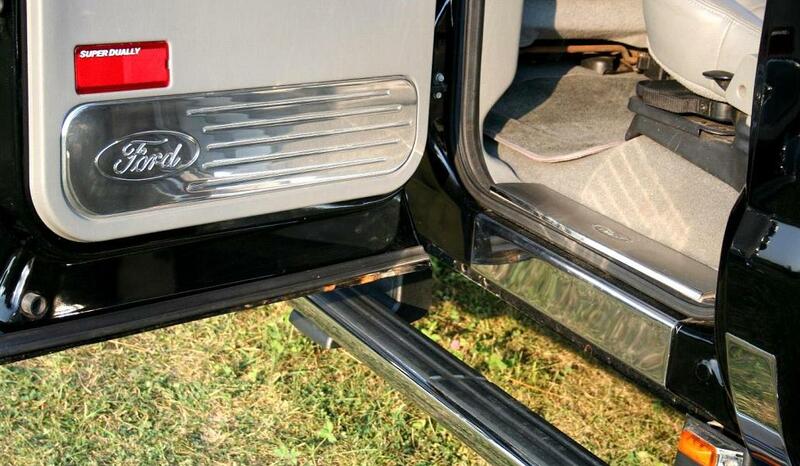 The front cabin entry also has a matching solid billet polished aluminum ball milled door panel, brushed stainless steel door sill and polished stainless steel kick panel below it. Even the drivers floor is pristine with show grade condition carpeting and brand new carpeted matching color floor mats. 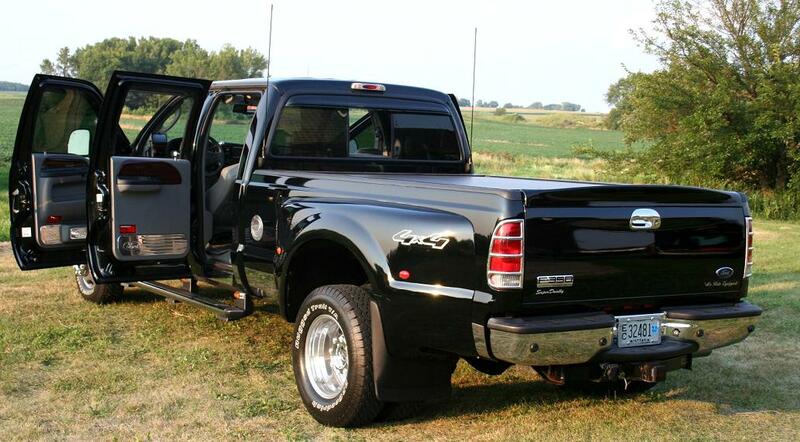 Perfection was not a goal in outfitting and maintaining this truck, it was a never ending destination. I think you can easily see this by now. But, there is even more!